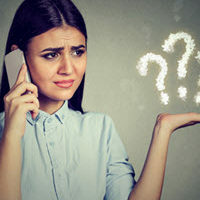 It is not uncommon for the IRS to contact taxpayers in an effort to clear up confusion about data entered on a tax return or to request additional information to verify a taxpayer’s identity. Unfortunately, it has also become increasingly common for people to impersonate IRS officials over the telephone or via email in order to collect personal information, such as Social Security Numbers and bank account information, so if you have questions about a communication you received from an entity purporting to be the IRS, you should contact an experienced tax attorney who can advise you. To tour a business as part of a formal investigation or audit. Threaten to revoke the person’s license or immigration status. If someone purporting to be an IRS official attempts to use any of these tactics, he or she is probably running a scam. These are government-wide identification cards used by federal employees and contractors and are a reliable way to identify a legitimate IRS representative. The IRS is also permitted to assign cases to private debt collectors. However, even in these situations, the IRS is first required to provide the taxpayer with a written notice. Like IRS officials, private debt collection companies will not request payment via a prepaid debit card. Instead, all payments must be made to the U.S. Treasury and sent directly to the IRS. IRS employees conducting an audit will usually call the taxpayer to set up an appointment, but not until he or she is first sent a notification by mail. IRS criminal investigators may also visit a taxpayer in-person as part of an ongoing investigation. However, these individuals are federal law enforcement agents and will not request payment. If you are a Florida resident and received a phone call or visit from someone who claimed to be with the IRS, please contact Ronald Cutler, P.A. at 386-490-9949 to schedule a one-on-one consultation with a knowledgeable tax attorney who can help you identify potential scams.